4th World Congress on Agroforestry, "Strengthening links between science, society and policy", Le Corum Conference Center, Montpellier, France. Special attention will be paid to vulnerable countries and populations. Particular emphasis will be placed on sessions that mix disciplinary perspectives and on solution-oriented sessions showing how to develop agroforestry in a range of conditions. Field-based sessions and a variety of post-congress field trips will be available for delegates. Biopesticides Europe 2019, 4th Biopesticides Europe Conference, London, UK. Leading world scientists at this conference present the scaling up of agroecology and promotion of ecological organic trade as means to reduce contamination by synthetics (pesticides, fertilizers, and drugs) and protect the health of the African people and their environment. Based on successful practitioners in the field and in trade around the world plus calls of world leaders in agriculture including FAO and the African Union, we believe that agroecology / ecological organic food production systems are the true future of Africa's food system. These systems are very knowledge intensive and take advantage of both traditional knowledge and modern science through collaboration between farmers and researchers based on mutual respect. They can deliver not only economic objectives, but also on environmental,social, cultural, nutritional and health objectives. Agroecology does not require inputs of synthetic pesticides and fertilizers thereby it eliminates synthetic pesticide contamination and all associated health and environmental risks. Utilizing agroecology, African farmers can produce adequate food to feed the continent sustainably, provided they have secure access to land, water, seeds/breeds and other natural resources. Acting responsibly, the private sector and its processing food and trade activities can contribute to wealth without hampering ecological, social and economic environments. Many of the world's leading agroecology scientists will be keynote speakers at the Conference. European Organic Congress 2019, Bucharest, Romania. This year's Congress aims to fuel the discussion on the reform of the Common Agricultural Policy and how the latter can contribute to healthy farms, a healthy food sector, and a healthy society. The audience will be invited to engage in an analysis of the possible synergies between the EU, its Member States, regions and cities, with reference to the development of a new organic action plan. Furthermore, we will look at the impact of emerging technologies, such as Internet of Things and Big Data, and at innovative solutions on the efficiency and evolution of the organic sector, by providing concrete examples and expertise of representatives from the agri-food sector. Biopesticide Summit 2019, Swansea University, Swansea, UK. Topics The Biopesticide Summit 2019 will focus on developing and introducing innovative and alternative biocontrol solutions that will help protect our food chain in a controlled but timely manner. Despite significant growth in the biocontrol industry, major limitations with current biopesticide solutions are rarely discussed. There is an urgent need to develop novel products and application technologies to not only "fill the gaps" in the market due to pesticide removal but also to anticipate future requirements as pests and diseases are developing resistance to currently used chemical products. In additional, there is increasing consumer led retailer demand for growers to eradicate the use of chemical pesticides in crop production and to grow fruit and vegetables with reduced detectable residues. 4th International Symposium on Biological Control of Bacterial Plant Diseases (BIOCONTROL 2019), Dipartimento di Scienze Agrarie e Forestali (DAFNE), Università della Tuscia, Viterbo, Italy. Topics BIOCONTROL 2019 will focus on the main scientific, technical and political aspects related to the management of the most serious bacterial plant diseases occurring worldwide. The Symposium was developed into 9 core sections, taking into proper account the most relevant topics, such as: the interactions between plants and microbiome, genetics and genomics, till to the production, safety and regulation of biopesticides to control of the most dangerous plant bacterial diseases and their vectors. BIOCONTROL 2019 programme will also include 2 meetings related to relevant EU projects concerning several aspects of bacterial plant diseases (COST Action CA16107 EuroXanth, PONTE and XFactors). 17th Meeting of the IOBC-WPRS Working Group "Microbial and Nematode Control of Invertebrate Pests"
Topics This meeting will serve several purposes. On the one hand, publicize the latest advances in the area of Invertebrate Pathology and, on the other hand, facilitate the exchange of ideas and opinions among researchers in this and related areas, without forgetting the dissemination that companies in the sector can make of the latest advances in the field. The congress will follow the model of its previous counterparts, with plenary lectures, symposia, oral sessions, poster sessions, divisions meetings and "last, but not least", social events, such as a Welcome Mixer, BBQ, and Farewell Banquet. We hope that this meeting will be an ideal framework to discuss the most current issues in this area and that it will serve to promote R+D+i in this sector, since research, development and innovation constitute one of the fundamental pillars of the economy of the most developed countries. Plant Health 2019 – American Phytopathological Society Annual Meeting, Cleveland, Ohio, USA. Topics Share your passion for plant pathology with your colleagues from across the globe! Join your fellow plant pathologists in the pursuit to fight plant disease! Topics Integrated Protection of Stored Products (IPSP) consolidates different methods of preventing damage caused by insects, mites, rodents, birds or fungi. The goal is to achieve necessary efficacy using ecofriendly methods and tools while resorting to chemical methods only upon ineffectiveness of used methods. Aside from current knowledge and advances in recent IPSP research results, presentations regarding promotion and implementation of IPSP in everyday practice will also be included at the Conference. Current trends in the protection of stored products and the provision of quality food and other products for the market calls for limited use of chemicals. 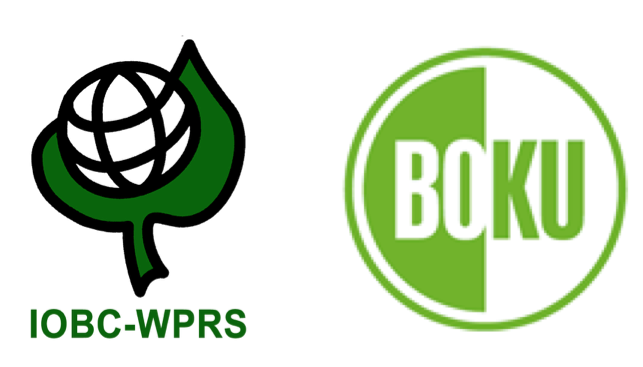 7th meeting of the IOBC-WPRS Working Group "Integrated Control of Plant-Feeding Mites" at the University of Natural Resources and Life Sciences (BOKU) in Vienna, Austria. Topics This meeting invites scientists and professionals from public and private sectors, as well as graduate and post-graduate students dealing with integrated control of mite pests in greenhouse and open field crops. The Working Group areas of interest include: new developments in biological and chemical mite control; integrated management of mite pests; biology, behavior and ecology of predatory mites and their prey above and below ground; and the effects of climate warming on mite pest management. 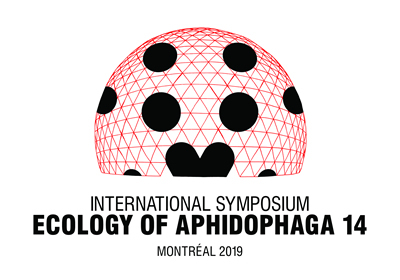 14th International Symposium Ecology of Aphidophaga, Montreal (Quebec), Canada. New Ag International, 2BMonthly and IBMA join forces once again to host the Largest International Event covering BIOCONTROL in ASIA. Agronomists / Scientists / Agricultural and Crop Consultants / Plant Protection Product Manufacturers / Biocontrol Suppliers / Distributors / Traders / Journalists / Government Agencies / Venture Capitalists / Financial Sector Representatives / Service Providers / Plantations Managers / all those involved in optimising sustainable crop yields and quality! This meeting invites scientists and professionals from public and private sectors, as well as graduate and post-graduate students dealing with integrated protection in oak forest. We want our organizational commitment to allow enjoy an intense week of work, creating a positive image of this experience to become a spokesperson and encourage other people to join this initiative. The main objectives of this meeting is to connect the different researchers from the Mediterranean region, to update, share and transfer the current knowledge, to identify strategic research needs and partnership opportunities and to network and analyze the current state of Oak forests. Meeting of the IOBC-WPRS Working Group "Integrated Protection of Field Vegetables" at DoubleTree by Hilton, Stratford-upon-Avon, UK. Topics The pests, pathogens and weeds infesting field vegetables are becoming increasingly difficult to manage due to the reducing availability of conventional pesticides, particularly for minor crops such as vegetables, and the very high quality standards set by retailers and consumers. For these and other reasons associated with pesticide use there is considerable interest in Europe and elsewhere in integrated approaches that minimise the use of pesticides without compromising marketable yield. The aim of this meeting, hosted jointly by the IOBC-WPRS Working Group 'Integrated Protection of Field Vegetables' and the Association of Applied Biologists, is to provide crop protection specialists/practitioners with the opportunity to explore new approaches to crop protection, present the results of their recent research, and discuss ongoing research and issues that are of mutual interest and whose resolution may benefit from a multi-disciplinary approach. Contact Local Organiser: Rosemary Collier, rosemary.collier@warwick.ac.uk, University of Warwick, UK. ABIM 2019, Annual Biocontrol Industry Meeting, Congress Center, Basel, Switzerland. Topics ABIM is the world leading business meeting for the biocontrol industry. ABIM facilitates the development of biocontrol products in order to make plant protection safer and more sustainable. ABIM provides networking opportunities and up-to-date information to the biocontrol industry. ABIM encourages the exchange between small and large companies as well as between governmental authorities and researchers. Meeting of the IOBC-WPRS Working Group "Integrated Protection in Viticulture", Vila Real, Portugal. Topics Plant protection in viticulture is matter of discussion due to the undesirable effects of pesticide use on human health and the environment. EU has launched various measures to reduce negative impacts of intensive management practices and to promote the transition towards more ecologically-based pest management methods. Research in this field is producing excellent results but their translation into the practice is still challenging. This international conference aims to bring together scientists, researchers, students and consultants working on biological control and integrated protection in viticulture. This conference offers opportunities to share ideas and to discuss current research findings. Promising areas for future research will be identified. The Symposium will be organised under the auspices of the International Organisation for Biological and Integrated Control (IOBC) by the Associação para o Desenvolvimento da Viticultura Duriense (ADVID). Meeting of the IUFRO WG 7.03.13 "Biological Control of Forest Insect Pests and Pathogens", Future Africa, Pretoria, South Africa. There will be a post-meeting field trip from 8-11 November. The field trip will include exposure to South African plantation forestry, including visits to sites with infestation of some of the main pests of pine and eucalypts, such as Sirex noctilio, Leptocybe invasa, Gonipterus sp.2, as well as native insect pests. The field trip will also include exposure to some of South Africa's amazing native fauna and flora, with a visit to the Kruger National Park. XIX International Plant Protection Congress (IPPC2019), "Crop Protection to Outsmart Climate Change for Food Security & Environmental Conservation", Hyderabad, India. The program of IPPC2019 is aimed at addressing the key issues in crop protection against the backdrop of climate change and mounting pressure on natural resources to meet the growing need for nutritious and safe food, conservation of biodiversity and creating opportunities for economic growth. Plant BioProTech 2019, 2nd International Symposium on Plant Bioprotection Sciences and Technologies, Marrakesh, Morocco. The Plant BioProTech 2019 offers to researchers, students and industrials a great opportunity to share and exchange ideas and results in a welcoming and friendly environment. Moreover, the Symposium will be an excellent opportunity to treat how politics may implement the current legislation and future regulation to support the industrial development of effective and safe bioproducts, to be used for the sustainable agriculture. VIII Congress on Plant Protection: "Integrated Plant Protection for Sustainable Crop Production and Forestry", Zlatibor, Serbia. The Congress intends to promote knowledge exchange and international cooperation, and to enable further exchange of up-to-date scientific and technical information on plant protection in agriculture, forestry and landscaping among researchers, teachers, experts in extension and public services and business community. The Congress should contribute to identifying new approaches, tools and techniques to meet future needs and challenges facing the science of crop protection. Australasian Plant Pathology Society Conference, Melbourne, Australia. This conference will be the climax of the APPS 50th birthday celebrations, where we celebrate our "Strong foundations and highlight the latest advances in plant pathology that will lead to "Future Innovations". Excellent scientific presentations by local and international speakers will be the backbone of our meeting, supported by engaging field tours and workshops allowing conference participants to experience plant pathology up close and to visit key agricultural sites in the areas surrounding Melbourne. 14th International Conference on Plant Pathogenic Bacteria (ICPPB), "The Impact of Plant Pathogenic Bacteria on Global Plant Health", Assisi, Umbria, Central Italy. Topics The Conference mission is to promote and disseminate the latest scientific advances in all aspects of Phytobacteriology and encourage dialogue and collaboration between researchers. The latest developments in the field, either basic or applied, will be presented and discussed at the conference. Plenary, oral and poster sessions will be held on key topics such as: Epidemiology and Ecology; Omics and Evolution; Control and Integrated Management; Diversity, Taxonomy and Diagnosis; Pathogenesis and Regulation; Disease Resistance and Effector Biology. The proposal of special sessions may be considered by the Scientific Committee. In this regard, the year 2020 has been planned by the FAO as Plant Health Year. A special session is planned to be organized in collaboration with the FAO with the aim to discuss the role and impact of plant diseases caused by bacteria on plant health world-wide. A number of abstracts presented as poster contributions will be selected for short oral presentation and discussion. The participation of young researchers is strongly encouraged. Reduced registration fees for students and early-career postdoctoral researchers will be available. Awards for these two groups for posters and presentations are planned. The meeting proceedings are planned to be published as a special issue in the Journal of Plant Pathology. ICE2020Helsinki, XXVI ICE Congress 2020, International Congress of Entomology, Helsinki, Finland. Topics Safe the date! Early registration: Tentatively open until January 2020. The International Congress of Entomology returns to Europe in 2020, for the first time in 24 years! IOBC-WPRS Working Groups "Integrated Control in Protected Crops, Temperate and Mediterranean Climate", Brest, France. Topics The general goal of this meeting is to promote the research, development, implementation, and training of Integrated Pest Management (IPM) systems in protected crops, as well as promoting cooperation between scientists, advisors and producers working in this field. France has both temperate and mediterranean climate, this is why we are happy to welcome you for the meeting on integrated control in protected crops gathering temperate AND mediterranean climate. Early registration: Tentatively open in February 2020. ACPP 2020, Asian Conference on Plant Pathology: Importance and Impact of Global Plant Health, Tsukuba International Congress Center, Ibaraki, Japan. Topics The meeting promises to be an exciting venue to update you on the most current topics of plant pathology, from molecular to farming. ACPP 2020 has been a forum to foster collaboration among scientists around the world, especially Asia. It is anticipated that over 1,000 participants will attend the conference, providing a unique opportunity to promote scientific collaboration. Postharvest 2020, IX International Postharvest Symposium, Rotorua, New Zealand. Promising to be an exciting and insightful science event, the symposium offers a great opportunity to meet with leading professionals in the field of postharvest research delivering a diverse and innovative programme. We will balance high-quality science presentations with engaging workshops and informal discussions. The event will also include a field trip to Plant & Food Research's Te Puke research orchard – a centre of research excellence and home to the company's highly successful kiwifruit breeding programme. Postharvest science is important to New Zealand's economic success. The country's location and export focus necessitates research and innovation that ensures the delivery of premium horticultural products to distant markets. New Zealand's experience in the field makes it an obvious choice for the symposium. ICPP2023: 12th International Plant Protection Congress, "ONE HEALTH for all plants, crops and trees", Lyon, France. The next generation is ready to make the difference. And you? Watch the video and donate now!